What were the alliances that lead to the war? How did the "spark" lead to war? List the major nations and their alliances. 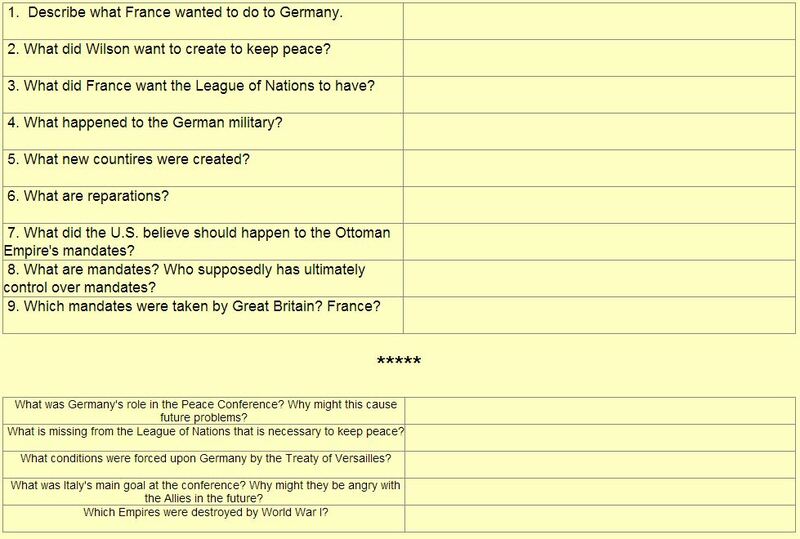 Complete "Causes of World War I"
The series of alliances led to full-blown war. Create a "T" chart to list these final alliances, include Japan and the U.S.
Who wrote it, what did it call for? What was the U.S. reaction? 1. As Food Administrator, what was Hebert Hoover able to accomplish? 2. How did the war weaken Russia? 3. What was the message the Blessed Virgin Mary give at Fatima? 4. Who wrote the Communist Manifesto? What were its teachings? How did its influence effect Christians? 5. Who offered the Seven-Point Peace Plan? Why was the Seven-Point peace plan rejected? Who used some of these points as a guide for the peace settlement? 6. Who was Emperor Charles? Why was he considered a good ruler? Watch "All Quiet on the Western Front" and answer the viewing questions below. 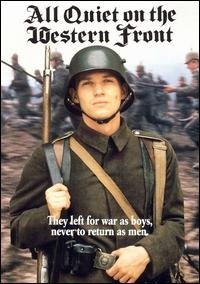 After watching the film describe the attitude this movie takes towards WWI and all wars. Read either an original copy of Wilson's 14 points for peace or the summarized version in your text. List the main points and his general goals. 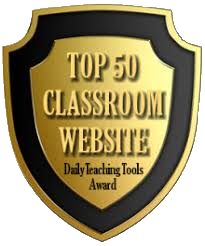 Read together the Treaty of Versailles Peace Negotiations and answer the questions. Copy questions in notebook leave three lines after each to answer in notes. 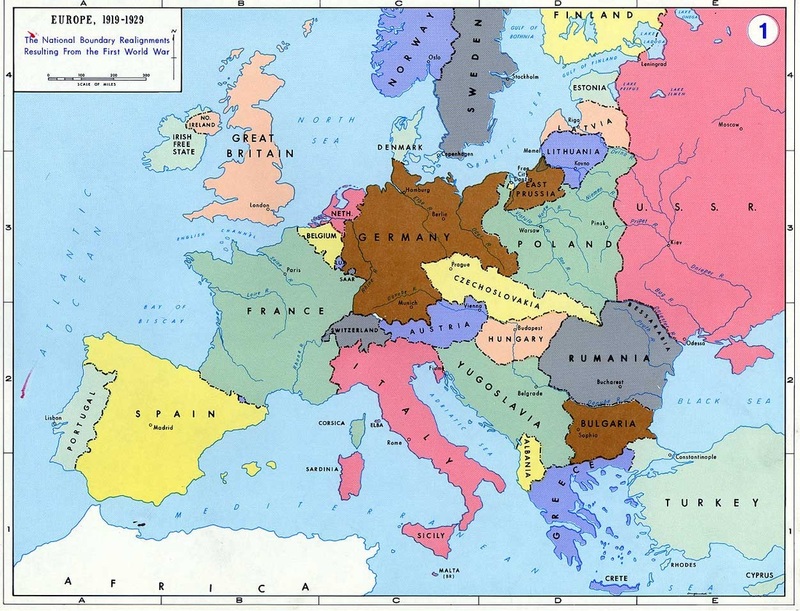 Identify the allies, central powers, and new countries on a map. What are the arguments for and against the League of Nations? Visit the Hall of Mirrors in Versailles.